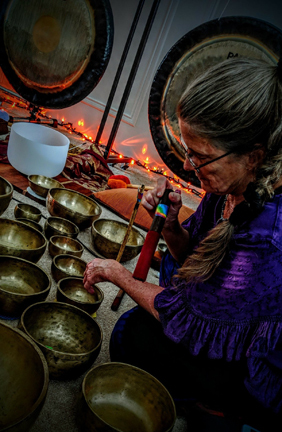 I offer a combination of spiritual direction & coaching with sacred sound shamanism to activate and support you in your transformation through telephone, Zoom, Skype and personal coaching/teaching sessions. "My services are right for you if you are committed to facing and loving yourself and living an accountable, empowered, joyful life creating the reality of being the change you wish to see in this world." Spiritual direction and coaching focusing on career, relationships, personal growth and all aspects of health. We start from the place you are and support you in growing from there. We explore the interplay between mind, body spirit and emotions. shadows, patterns, strengths and opportunities for transformation and growth. You learn the science of intention and reality creation as well as acceptance and non-attachment to create a life of response-ability, the ability to respond to all life offers with peace, balance, and courage. You learn to create sacredness in and gratitude for all aspects of your life. Coaching inspires change and growth with tools to create lasting results. We uncover shadows and patterns, and explore sacred purpose and mission. I support you in embracing life with courage, humor, clarity and compassion. Experiential exercises, practices, and ceremonies are offered between sessions. The intent is the creation of an empowered, pro-active life of peace, joy and balance and support of your spiritual life in whatever form you practice.